Remember when you last had the exterior of your home painted? Can you still see in your mind's eye how bright and fresh it looked? It's unfortunate how dirty and grimy exterior surfaces can get over time, but it's just a part of how things work in nature. The good news is that pressure washing can restore the beauty of your home or commercial property in Scituate. Most of the time, repainting isn't necessary. Pressure washing can remove all types of stubborn stains and grime. 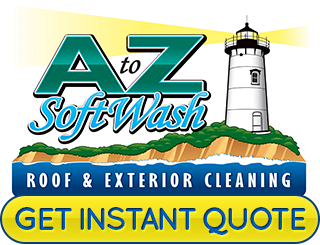 If you would love to see the exterior cleaned up properly, call A to Z Softwash. We customize each cleaning project to safely clean all types of surfaces. Give us a call today for a competitive quote. Our Cape Cod Roof Cleaning professionals look forward to helping you clean up the exterior of your Scituate home or business! Roof tops need special care when it comes to getting them clean. A full powered power wash is generally not used on most roof structures, especially on older roofs. This is because high pressure streams of water can destroy the shingles. Our softwash roof cleaning technique is every bit as effective as a full powered power wash but won't destroy your roof materials. Other areas of your home also need this technique. We use safe products with a low powered pressure wash. 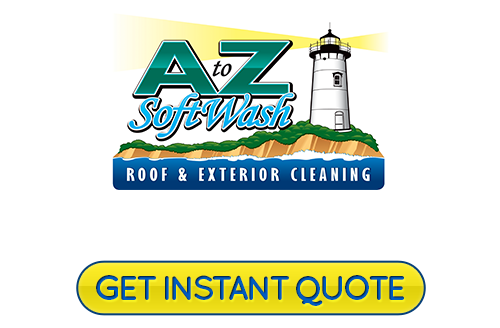 Call our professional roof cleaning experts at A to Z Softwash to get the job done safely. Do you have a cedar shake roof, siding, or deck that is getting dark and stained? If so, it's important to keep the surfaces cleaned every year. Cedar is a beautiful wood, but over time it turns dark and discolored. Unfortunately, if left dirty, the beautiful cedar you once loved with deteriorate much quicker. By keeping up with the cleaning, you will prolong the life of the investment. If you are no longer in love with the cedar you invested in, our professional Scituate Roof Cleaning technicians can take care of your cedar restoration in Scitutate. 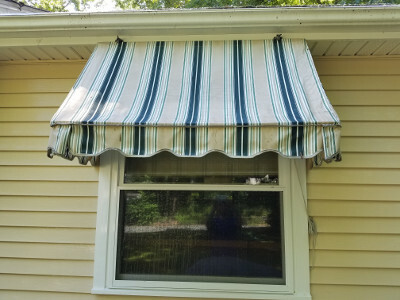 We use safe soft-washing techniques that can reverse the effects of exposure to the elements. If you are looking for a Scituate, MA roof cleaning and exterior pressure washing service, please call 508-209-7795 or complete our online request form.